Innovations in the health industry continuously baffle us. The newest methods of surgery or invention of a new medical device that is altering the dimensions of curing a particular disease are literally changing the health industry. Costs are coming down and people are getting rid of life-threatening situations in a better way. Virtual Reality (VR) is a very new innovation that is finding its use in all possible aspects. 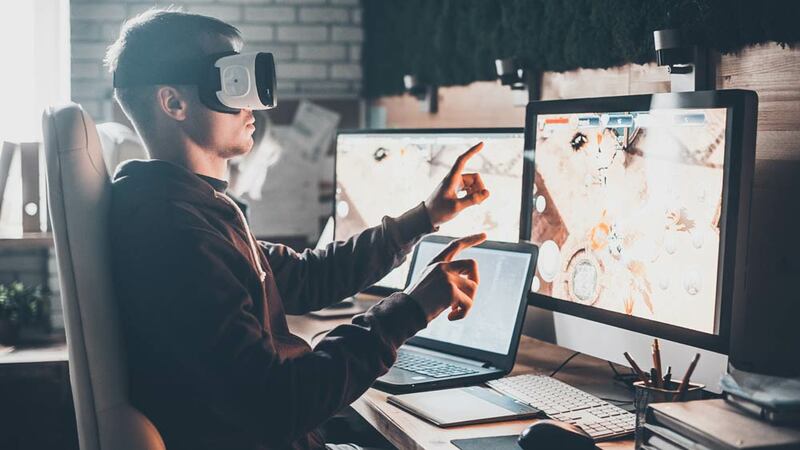 Especially in the health industry, VR is being adopted for research and development purpose where the participants can adopt ideas, learn the concepts and improvise to formulate newer ideas. The degree of improvisation to make someone understand about a concept can be done well with the aid of VR. Ninad Chhaya, COO and Co-Founder of Gophygital and COO of WITS Interactive, is very hopeful for this groundbreaking technology. He said VR has innumerable possibilities in healthcare sector. According to his cited examples, VR can aid in the following ways. Description of symptoms by the patients will be better. Before the implementation of VR, the doctors used their experience and expertise to find the problem. With the advent of this technology, they will be able to locate and conclude a problem. In this way, the prescribed medicines will be appropriate and will also eradicate the possibilities of wrong diagnosis. The nurses will be able to locate veins with the aid of augmented reality. The R&D section of the pharmaceutical and medical instrument companies will find it very useful when the augmented reality will aid them to visualize a design, a drug or an instrument. Surgeons will be able to learn complicated surgeries via VR. This will aid them in increasing their efficacy. VR can be used to invoke empathy for patients who suffer from various medical conditions such as vertigo, claustrophobia, and migraines. VR can also be used to treat Post-traumatic Stress Disorder (PTSD). Most of the soldiers and patients, who have gone through very hard times, suffer from PTSD. By the use of VR, they can be involved in simulations that make them feel safer. Patients will be able to forget the traumatic events in the controlled environment and relax. Elderly patients can be aided with the aid of VR. Those who feel alone and suffering from various mental illnesses can be treated and pacified well with the aid of a controlled environment. A hospital in Los Angeles has found that the patients in the controlled VR environment have shown a 24%-depression in pain. The patients can be relieved from pain to a considerable extent. The new invention can be perfectly utilized with time to make the healthcare processes efficient and effective. The basic problem faced by the Indian healthcare industry is that the implementation of VR requires a high investment. Although, the innovations in this field are reducing the price but, the lack of awareness is hindering the implementation of technology. The Indian scenario demands more skilled hands and better infrastructure to implement this technology. The rate of adoption is slow but steady. The use of VR has made it very much enjoyable for the users. Using pacifying videos or educative audiovisuals enable a user to relieve pain or learn something new faster. Within 5 to 10 years, VR will definitely become a part and parcel of the health industry in India. It will find its use in rehabilitation, surgical training, and various other grounds. The technology has already been adopted by big names such as Glaxo SmithKline Pharmaceuticals, John Hopkins School of Nursing and Abbott. Soon enough, the potential of the technology will be realized and used in all possible phases. 4 Franchise Trends of 2018..
3 Reasons To Invest In Dairy Franchise..
3 Things to Consider Before Signing Contract.. Important Points of Restaurant Business Plan..
5 Ways to Build Customer Loyalty Online.. Ticking all the Boxes For Wellness Program..
​Panorama of Skill Development Business in India..
How to build the most experiential restaurant..
Top 5 Unique Restaurant Ideas..